Despite everyone’s best efforts, one of your child’s primary (“baby”) teeth has become decayed to the point it might be lost prematurely. Saving it would require extensive treatment like capping it with a crown or performing a pulpotomy, similar to a root canal treatment. You may be thinking: since it’s going to come out eventually, why go to the expense of trying to preserve it longer? Actually, there are good reasons to save a baby tooth depending on your child’s age — for now and for the future. Here are 4 of them. They’re important for nutrition. Baby teeth are quite similar to permanent teeth — not only do they look like them, they perform like them too, enabling a growing child to chew and digest food needed to boost their development. Even the loss of one tooth for an extended period makes effective chewing harder. They’re important for speech development. With their first words, children develop speech patterns rather quickly. Their baby teeth play an important role in this: just like permanent teeth, they provide the tongue with points of contact for making a variety of sounds. A missing tooth for a prolonged period could interfere with making certain sounds and could have a stunting effect on their speech development. They’re important for permanent teeth eruption. Baby teeth also serve as placeholders for their successors, the permanent teeth that are in development just under the gums. A baby tooth normally remains until the permanent tooth is ready to erupt within the path set by the primary. If they’re lost prematurely, the permanent tooth may not erupt as it should; and adjacent permanent teeth can drift toward the empty space and out of alignment. They’re part of their smile. Baby teeth help children fit in socially with adults and other children — they help them look normal. 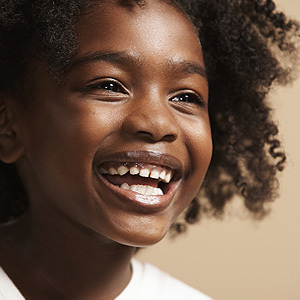 A missing tooth stands out when they smile — and not in a good way. This could impact the way they interact socially with others, extending even into adulthood.